I love the timeline! 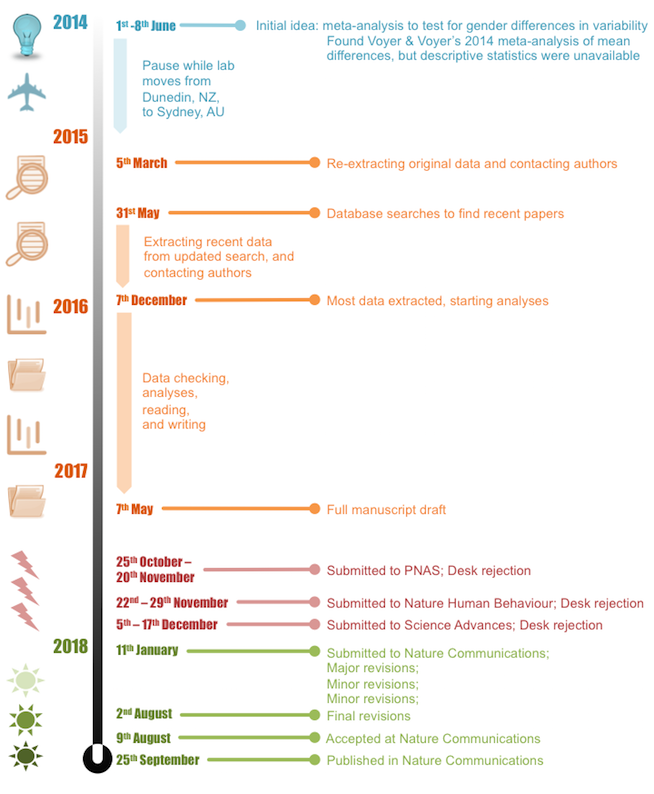 It's easy to forget just how long the research lifecycle can be, and how rejection often plays a part in that. This is a great reminder (especially for early career researchers) of what the process can be like.